Beware of Texts Requesting Your Account Verification Code. This Google Verification Code Text Scam going around is used by hackers to gain access to your Gmail account. You might have just randomly received a Google verification code text on your cell phone. You’re trying to log in from an UN-authorized machine. Someone else is trying to log into your Gmail account. (to steal your identity) Beware. Someone is trying to associate their Craigslist account with your phone, making you responsible for their illegal activity. Someone is trying to use your phone number to sign up for something and impersonate you online. Mobile phone users are being targeted to gain instant access to YOUR email account. 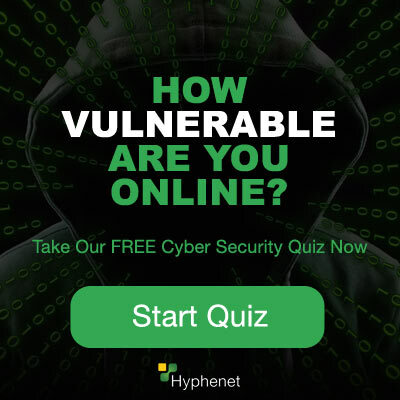 This a scam trend that’s happening again and has been made aware by Symantec. This scam is similar to a criminal dressing up and posing as a police officer and asking you for your car keys. Most people wouldn’t hesitate and would hand over the keys without question.This scam takes advantage of Google’s recovery options. You can add a phone number and a recovery email address just in case you forget your login credentials. This way, you’ll never get locked out of your Gmail account, even if your account is stolen! Google gives you a six-digit code by text. In this example, the keys are the six-digit code sent by Google and the car is your email address. The cyber criminal will do anything to try and trick you into sending them the Google verification code you just received from Google. (once they have it, they can steal your identity) They will try calling you pretending to be Google asking for the code. They will try texting you from their cell phone pretending to be Google, asking for the verification code you just received. Don’t give them your verification code. They will try to steal your identity! What is Google verification code? Google verification code is a six-digit code texted to you from google that adds an extra layer of security to your account. All the scammer needs is your Gmail address, phone number, and your misjudgement. Anyone is a potential target if they share that information online, especially on social media. Remember, there’s plenty of people living in poor countries that make scamming people a lucrative effort worth their time. A: Ignore them! They want access to your email to commit identity theft. DO NOT give ANYONE your verification code. That’s your private information, treat it the same as your social security number. You previously linked your mobile phone number to safe guard your Gmail account in case you forget your password or can’t login. The scammer uses your six-digit code to complete the password reset and recovery process to gain access to your Gmail account. Did you text back your Google verification code? If you texted back your Google verification code, immediately login to your Gmail account and change your password before the scammer does! Want to Change How you Receive Google Verification Codes? Please contact Google support if you need your verification code. We do not provide any verification codes. Please do not contact us for a verification code. (as reported in the comments below) Please never give out your personal information when selling online.Usually the phrase is “buyer beware” however now it’s also, “sellers beware”. Here’s how to safely sell your items online. Selling your stuff online? Never list your phone number or any other personal information. Scammers posing as buyers (especially on Craigslist) are requesting your Google verification code after seeing your phone number to gain access to your Gmail account. Unfortunately many people are falling victim to this scam. If you do, please login and change your Gmail password before the scammers do. If it’s too late, please contact Google support. thank you for reading about Google Verification Code Texts Scam. Get Mobile Device Management with datto! Business owners, we recommend datto RMM Mobile Device Management (MDM) services. Today’s cyber criminals attempt to steal data or access your network by way of your employee’s phone and tablets. Mobile device security closes this gap. More employees are using their own mobile phones and tablets at work, creating vulnerabilities for corporate data. What happens if the devices are lost or stolen? How do you prevent unauthorized access to data on these devices? Personal mobile devices may already be on your network. You can’t afford to just hope your network is safe. Take action! With Datto solutions, you can bounce back from an unfortunate event within minutes! 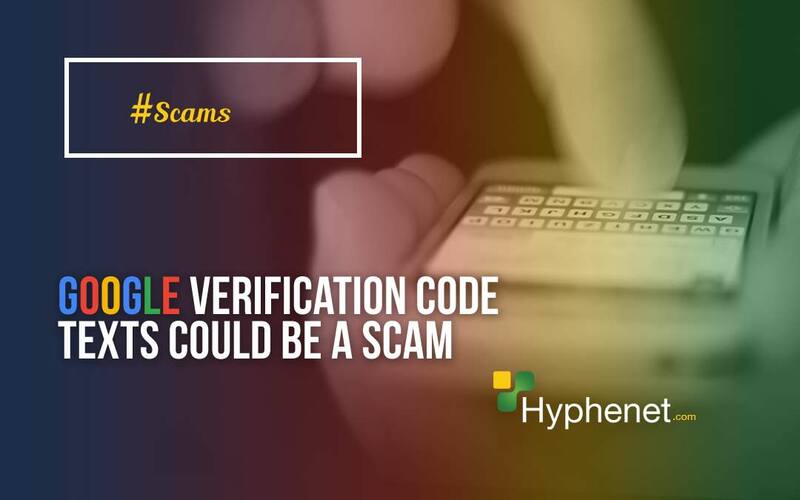 Have you received phony “Google Verification Code Texts” ? What did they text to you? Please reply in the comments. I’ve resently had a scamer try this. How can I find out who this person is. The scammer will usually use their own phone number when sending the text, CALL the phone number! Or do a reverse phone number lookup. Or just google the phone number. Change your password before it’s too late. They posed as a friend and asked for the code. You can find out who they are by calling the phone number they texted you from. If you want to be discreet, try a reverse phone number search. I received a sealed postage from Google. The stamp says PRIORITAIRE/PRIORITY and from France. Inside is a verification code? Is this a legit Google My Business document – they say I must google.com/supportmybusiness to learn more or visit google.com/verifymybusiness with 3 steps. What must I do? Is this a real thing or a scam? Its sounds like you accidentally received a Google address verification. Do NOT activate it. Otherwise you could get customers to your personal address. Have received 3 texts today from 51501. No unusual sign on attempts on either of my email addressess. How do I find out which account is this for? I don’t even use my g-mail or Google accounts, so when I received a text with a verification code in the middle of the night, I knew it might be a phishing event. I went to my Google account and changed my password first thing in the morning. I googled the phone number and got nothing except confirmation that other people had recently been googling it, too. I never received any request for me to send the verification code to anyone, so it may have been a simple case of somebody with a phone number similar to mine doing a phone verification at Google and typing in the wrong digits and getting my number by mistake. The whole thing reminded me that I should probably have the g-mail account go to my phone again. When I got a new phone, I did not bother to set it up, since I don’t use it very often. Good job changing your password. If you do not associate your Gmail account for baking or anything as a “forgot my password” recovery option, that’s fine, however if you have any personal data saved such as your contact etc. Someone could act as you requesting personal information or a money scam emergency. I received my Google verify my business code through the mail. This is a 5 digit code. Is this the same as the other 6 digit codes??? I hardly ever use my Gmail account,but the person asked for my regular email to pay me $50. through paypal. I haven’t sent the code yet. Should I just not send it??? That person is trying to use your home address as their business front. Perhaps they’re overseas and want to build false credibility by leveraging your address. This is not safe because people can show up to your home expecting service. Don’t do it. I do not have a G-Mail account, or any other Google account that I am aware of…just use Google to access the Web. Yesterday I received 2 text messages on my “old-fashioned” cell phone (not even a Smartphone) which gave me the same Google access number. The messages came from 2 different numbers. I had no idea what a Google access number even was. Am assuming some kind of scam? Or someone typed in a wrong telephone number? You’re right, this could easily be someone using the wrong number with a typo in their account information. Or someone phishing to get your information. Just ignore them and don’t text back. Received two access codes while I was in process of setting up two-step verification again for gmail (changed phone). Googled, and both numbers are apparently in Slovakia +38641926786 and +38641299095 but no more info than that. Felt odd, so I exited the set-up, searched for answers and found this site (thank you!) Any ideas if this is in fact legit, or was I right to be concerned, and how do I get a valid code or should I forget two-step altogether? No unusual activity on account. verification codes are great. However, yes that’s weird that you’re getting texts from such unusual phone numbers. Google will text you a verification code upon set up. Just be sure to never NEVER type that code back in reply to a text message. Once again, google sends codes but will NEVER ask for codes. If you do get an odd text from someone pretending to be google and asks for a verification code texted back, run for the hills. DO NOT Text or email your verification codes to anyone. Good luck. If you are paranoid, you can always log in to your gmail account and change your password to be sure. I asked for a verification code for my phone today,had three attempts and eventually had three codes sent,all three had +44 mobile numbers above the code (all different),i thought i was being hacked,contacted Google customer support and i was told it was the number of the servers they were sent from and nothing to worry about.he said it does happen sometimes but often it just sends you the code.but to be safe I did not text back and didn’t use the codes,and no alterations have been made to my settings. I had the same concern but it happened to me on Viber and Telegram. I contacted customer support and they assured me that it isn’t a hacker. The said they use an intermediary element sometimes and that you can only use a code once. Ignore anyone asking you to text them your verification code! DO NOT SEND! Sending me my google voice code. I was chatting with a person on WhatsApp when that happened. And he asked me for that code. Unfortunately I have it to him. Because he said ,he was doing something on his phone. I thought it was strange,then I google the number and found out that it might be a scam. I changed my password just now. Even if that happened yesterday. Please help me to understand this situation.is anything I have to worry about? The same thing keeps happening to me as well. How do I change my password if I don’t feel that I should sign in with the code that was sent from this number? Does anyone have any idea whose these numbers are? I’m glad you knew it was a scam. I keep getting these messages from 50270000 ,50351 and DMMYINFO ,VKTSTSMS,VMSMSTST.This is being done with intents to harass and hack my account.The guy doing this is named Venkatraman Kathik who has also been booked by police for this under cyber stalking offence but manages to gather the courage to still do it. Thanks for sharing this information. Hopefully it helps someone else. HELP! They requested a verification code from a friend’s email address and I sent it to “the friend”. Now my email is blocked from me. I can’t login to change the password and the new number is not my number. What can I do? I have personal financial forms in my email account. Also, select the option: You think someone else is using your account. my email is blocked same as above jg.. google said i have to sign in with my pass word.. put the name on. then they said they would send me numbers to log in with,, but i cannot get to my e-mail is blocked & the e-mail they said they would send to is really ole about 11 yrs, old. do i have to call the geek squad to get my e-mail.. i have e=bay & facebook ok so far.. i have nothing on e-mail except my orders from e-bay. which i use paypal only.., now i heard the NY times says paypal is bad now.. which should i do.. this started yesterday afternoon. I keep receiving Google verification codes three or more per day. James M Smith from a scamming so called loan company quickly texts and asks for the code. We get them on our home phone and our cell phones. We would like to know how to undo this. Posted an ad on craigslist and immediately received a reply back from out of town phone number 213-806-3335 (Gardena, CA) that said they wanted to buy my item. I texted back and asked when and where they would be able to meet. Reply back from the number requested that I text back to them the Google verification code that immediately came through on my phone so they would know I was not a fake seller. Obviously, I did not. Thank you for sharing your encounter Misty. So happy you did not send them the requested code. Good job! It does not surprise me anymore how low people go to steal an identity. sounds phishy. However, I would change my password to a more secure password. I’ve received a Google verification request from a certain number after posting an ad to Craigslist. I foolishly gave that person my pin. Upon realizing it, I quickly changed my Google account/Gmail password. Should I be ok? Do I have to worry about anything else? Glad you reacted fast and changed your password. Make sure your phone number wasn’t altered by the potential thief. I put my phone number on craigslist in Montgomery alabama. A scammer sent me a text and said that they want to buy the albums I listed on craigslist. Then they ask me to send them the google verification codes so they could verify that I am a real person and not a computer. So they sent the codes and and I typed them back to them as requested. Then they came back and said to type the correct verification code and I didn’t and stopped texting them and deleted the message. I changed my password but when I got home later tonight I checked my security settings and it said someone from Atlanta Ga had logged into my email from an iPhone 6s. So I changed my password again and google locked my email from being logged into from any device except my home computer. Not sure if they have stolen my identity or not but I guess I will find out they hard way. I sounds like they have stolen my identity because they did log into my email from Atlanta. Hi Karen, Sorry to hear about the scammer. You should never list your phone number on CL. If I were you, I’d change my bank password and make sure your contact information is correct on your bank etc. Any accounts tied to your email address I’d change the password. Hi. I just recently recieved a text from a 5 digit number giving me a verification code. Then i recieved the same code a few seconds later from an actual number from Ohio. Both texts only gave me a code and stated this was my verification code. I immediately told the one with the actual phone number to **** off, then changed my password. I recieved a request through a craigslist ad I had saying they wanted to verify I was a person and not a robot and to reply back with the six digit code. Unfortunately I did. I changed my gmail password after reading this, but I don’t use my gmail account for craigslist. I’m hoping they can’t access anything if they don’t even know my gmail address. I am selling a car on craigslist the person texted me a message asking if i was a real person that they were interested in my car but needed to know if i was real. The person then said that i should receive a g verify code and said what the heck is that and then i looked and saw it was from google i said why do you need my google code the person then replied so i know if you are a real person. I flat out told whoever it is i am not giving you the code this would allow you to have access to my account information sorry but don’t think so! The number texted from was 575-274-6681. I received a google voice verification code after posting a car on craigslist they sent a txt stating: “Hi, I saw your post in craigslist .. I wanna buy your car are you a real seller.” My response: “Yes I am a real seller are you a real buyer? ?.” that’s when I received google code, so they txt ” you have got google verify code so send me code then I know you are real, I am real. I hope cragslist puts a warning about this on their site. john at 1(321)24105803 asked for my Google Voice verification. I did it but see no activity. The e-mail I use for Craigslist is not google. Should I be worried about anything? If they are sending your google code, I would be worried. You google account is most likely linked to password recovery for many things such as you online banking I assume among other important accounts. I’d be changing passwords. received a text to buy my football tickets and they acted like they wanted them immediately. next text a google verification code was sent from 707-693-7417. I googled regarding verification codes and lucky I found this website. Since when does someone send you a code to reply! I replied that I do not send a code to scammers. Never got a text back. That’s awesome you know what you’re dealing with! Good luck! 831-287-5284 hit mine up this morning. Passwords changed really quickly. Some people!!!! I received a text after posting something on Craigslist. The number then asked me if they could send me a code to see if I was real and I said sure. I then got a text with a Google Voice verification code and I gave the number my code. Is this different from just a Google verification code? If so, how? My gmail isn’t even associated with my Craiglist account. Also, I only have one gmail account and it is associated with my school account which requires a two factor authentication. Should I be worried / do you know what I should do? NEVER send the code back to a text number. Never share the code with anyone. It may be a coincidence you received a text after posting on CL. If you gave someone your google voice verification code, they can now impersonate you using that account. Look out for unexpected bills etc. I stupidly fell for this — am normally very skeptical, but made a mistake this time. Gave the Google Voice Verification Code to a Craigslist ‘buyer’. Then had second thoughts and checked it out. Immediately changed my Gmail password successfully. What might they be able to do with a Google Voice Verification code? I’ve never set up a Google Voice number at all. What else can or should I do. My Gmail is tied to very few other accounts and I’ve changed the password on those as well. Same thing happened with me. I received a text from number 707-595-8862 after posting something on Craigslist. The number then asked me if they could send me a code to see if I was real and I said sure. I then got a text with a Google Voice verification code and I gave my code. It took few minutes for me to realize that it was a scammer, so I went ahead and changed my password, activated few other security items from google. I just posted the add on Craigslist someone responded with the question if this is a real add. I said, yes. Then he or she said, I just send you the code can you send it back to me to verify that you are real. I said , this is random and shady. He wouldn’t let go keep telling me to send him the code. I said , I’m fake. End of conversation and he/ she stopped. It’s surprising that there are people that will listen to demanding strangers and give out personal information such as a google verification number. Glad you’re not one of them! I posted on Craigslist, then received a text to confirm I was real and please send Google Verification Code, which I did. I had no idea what a Google Verification was. However, I don’t have a gmail account. Does that absolve me of any risk? Are Google Verification Codes only for gmail? Can you tell us the exact message they sent? Usually bad spelling and bad grammar are the first signs you’re dealing with a hacker. It’s sad when people that are also unable to spell fall victim. If you don’t have any google accounts, how did you receive a google verification code to send them? Yes, there’s also google voice verification codes. That might be what they were after to exploit from you. Posted on Craigslist and immediately got the message asking for google voice verification code. I then got a second message from a different phone number also asking for google voice verification code. Then I got a text from 22000. I sent a text to say Scammer to the first message. I never entered and texted back the code to the two messages I got, but I accidently texted back to the 22000 message that contained the 6 didget code with Scammer as I thought I was responding to the second message. So my question is if I replied back to the message from 22000 that sent me the 6 diget code who got the my return reply? Could the scammers have gotten it or should I be okay. Thanks! I don’t think Google will mind that you were being very cautious here. You’re OK.
Just happened to me same as Nienhaus. The number was 601-351-9846. I got a request for sending a code from someone who contacted me about a Craig’s list ad. It seemed weird to me. If they wanted to make sure I am a real person – as they claimed – why did they not just call me? I never received not sent a code. After all, I was using a Google Voice number anyway for my ad, not my real number. Then I found your explanation about the scam. I am glad I did not fall for it. I posted something to sell on CL. I was asked to prove I was a real seller by sending back a code which came from google voice services. I provided the code and then googled and realized it was a scam. I did change my password within about 15 minutes and it still showed my same phone number for recovery. My cell phone is asking me to sign into google play services again and the new password for the gmail account (which is not the one I usually use), is not working here. Would this still be a different password on google play services than the gmail account?